The blooming time of the rhododendron is long over. Their beautiful red flowers are at their best in June. 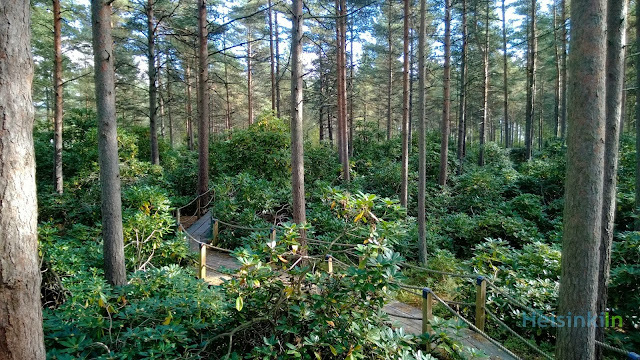 But even during this time of the year the Rhododendron Park (Alppiruusupuisto) in Haaga is a perfect destination for a nice Sunday walk. 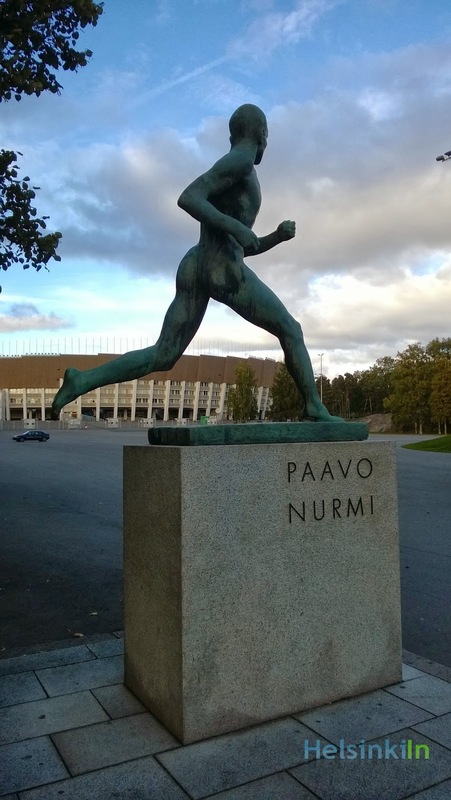 The park was founded and still functions as a plant breeding experimental site of the University of Helsinki. Simultaneously the eight-hectare area is a park open to the public. The first rhododendrons have been planted here in 1975. Meanwhile several different species grow some of which were created on this site and are internationally well known to handle temperatures of up to -40 degrees. Many paths and duckboards as well as some look-outs make it possible to explore most parts of the park in a comfortable way and are also accessible for wheelchair-users without problems. Have a wonderful walk and a nice Sunday! The nights get dark again these days. This is not just a bad thing. Now the lights of the city can be seen again and with them the so called sininen viiva (blue line). 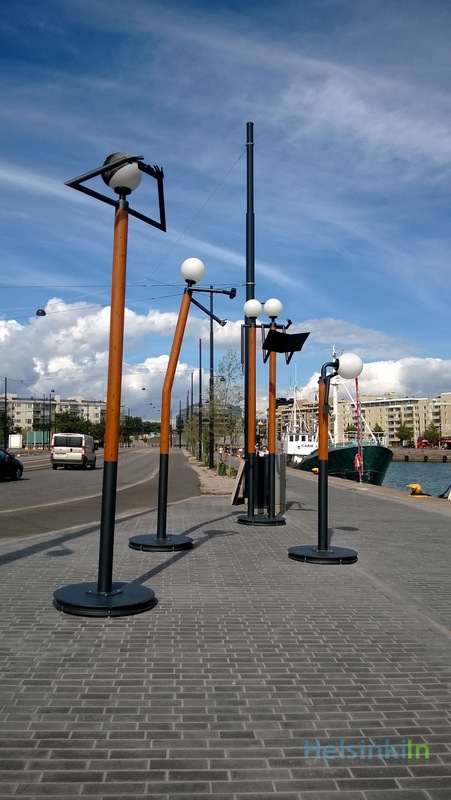 It was installed last year to celebrate 135 years of electricity in Helsinki. 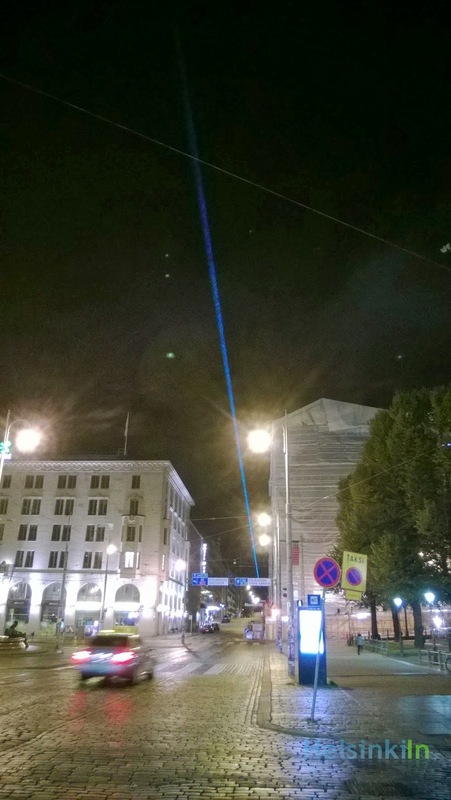 The blue laser beam connects Observatory Hill (Tähtitorninmäki) all the way across Kopernikuksentie, Unioninkatu and Siltasaarenkatu with the Kallio Church. You can see it every night from 18:00 to 02:00. Bruuveri at Kamppi Kauppakeskus offers women a perfect solution for a relaxed shopping weekend in the center: The first official “miesparkki” (men parking). Go shopping and leave your man here! Instead of having your husband or boyfriend follow you around to each of the countless shops that might have a really good offer right now, you just leave him here and pick him up later. But don’t leave him too long. The way back home might become a challenge for both of you otherwise. After a warm first half of September the temperatures dropped rapidly. This morning we had just 2° here in Helsinki. Even though it will get a bit warmer again during the next days we will have the first minus temperatures during the night. So enjoy the open sea as long as this is still possible. Go for a walk along Helsinki’s and Espoo's waterfront and experience the rough but beautiful fall landscape. 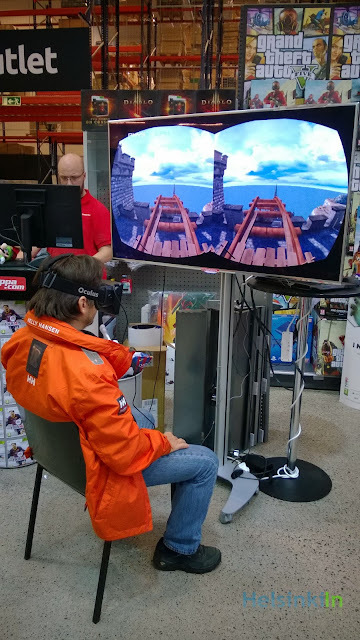 At Verkkokauppa.com you can try the Oculus VR and decide for yourself if this could be the future of gaming. The high-tech goggles allow you to travel through a 3D world in 110°. Instead of looking at an ordinary monitor that tells you where to look you can now move your head around and explore the world around you in a natural way. Till Sunday you can try it for free at Verkkokauppa.com in Länsisatama. Experience a ride on a wooden rollercoaster that feels surprisingly real even though you are actually just sitting on a normal chair. You find the Oculus VR demonstration in the gaming department on the 3rd floor. It’s worth a try! Amongst others the Korjaamo Culture Factory is also home to Helsinki’s Tram Museum. On the first glance this tiny museum doesn’t seem to be impressive at all. 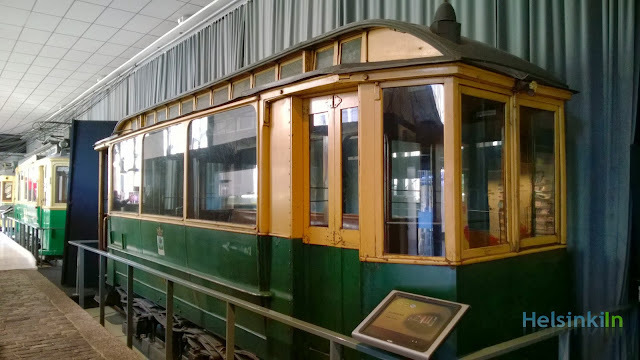 Three old tram cars are lined up for the museum’s visitors. But the small screens next to each of the exhibits bring the trams back to life. Amongst lots of interesting information on those machines pictures of old Helsinki and the trams in action are shown. After clicking through the slides and reading about their history you will see the trams with different eyes, pay closer attention to small details and can easily imagine how it would feel traveling through the city on them. The entrance to the museum is for free and it is open daily from 11 to 17:00. 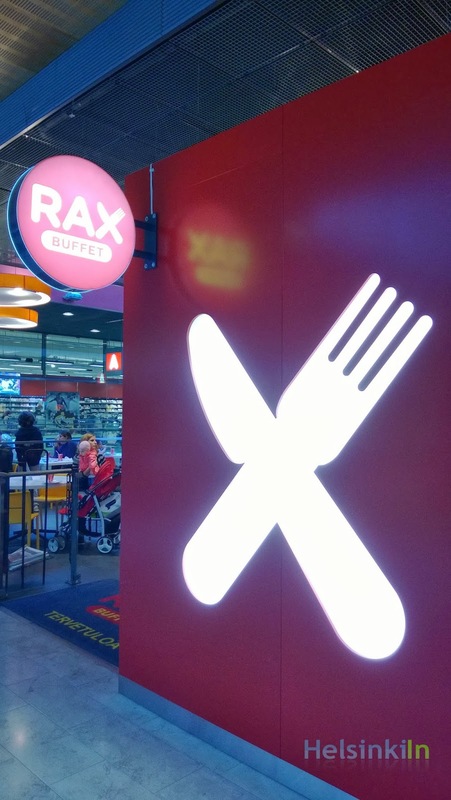 Rax offers an all you can eat buffet for a very reasonable price of a bit under 10 Euros. For that money you get pizza, sausages, chicken wings and more as much as you want. When it comes to size and volume this is definitely a great deal. Especially since you can find Rax in pretty central locations throughout the capital region. Unfortunately this is the only upside and what you gain on the quantity side you loose on the quality side. The food you get there is greasy and the taste is below average. So if you pay any attention to healthy, delicious and good food better stay away from Rax. 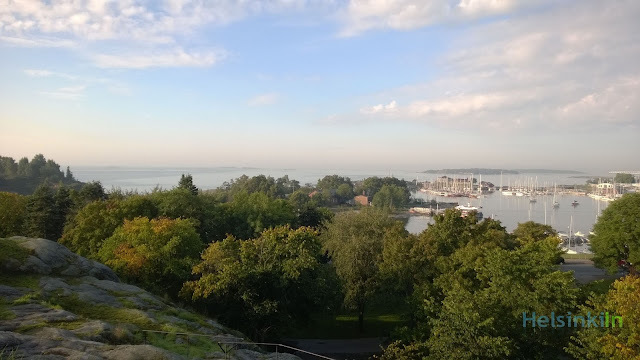 I normally try to avoid reviews about mediocre places in Helsinki since I believe it makes more sense to tell you about what is really good here in the city. Rax can be found everywhere in and around Helsinki though that I thought some of you might have wondered what’s up with it. 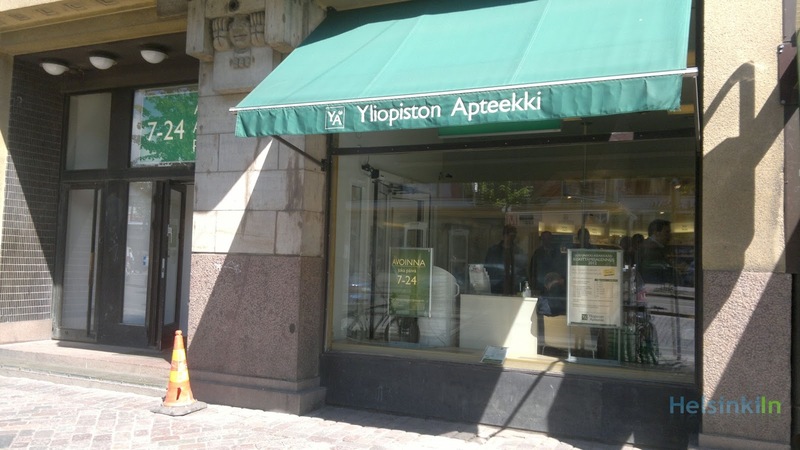 To find recommendations for some of the best restaurants and cafés in Helsinki click here. The weather is beautiful today and since we had quite a bit of rain during the last days this Sunday should be perfect for mushroom picking. 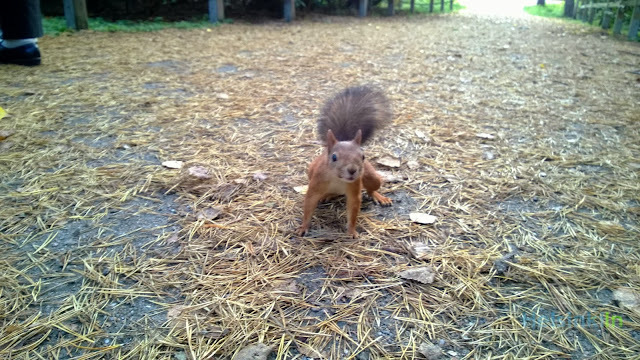 And that can be done anywhere in the woods around Helsinki. Just bring a knife and a basket and start your search. Once you spot the first ones it gets easier to find more. But be sure of what you pick and if you have some doubts rather leave them. This weekend you can still get great deals at Sokos department store in the center. With an S-membership card you get a discount of 15% on everything. Also check out their special mobile club offer. If you subscribe to their SMS mailing list you get a discount on one item of your choice of 30%. Subscribing is for free. You just send a free text message to 18313 with the word SOKOS2. Show the confirmation text at the counter and get your discount. With the text SOKOSSTOP2 to the same number you unsubscribe from the list again. Fall now arrived in Helsinki. After a warm first half of September the rain came and the temperature dropped. Next week there is even a chance for the first snow in Northern Finland. You wonder what time it is in Tokyo right now? Well at Stockmann’s magazine department (not Akateeminen) in Helsinki you can find out. 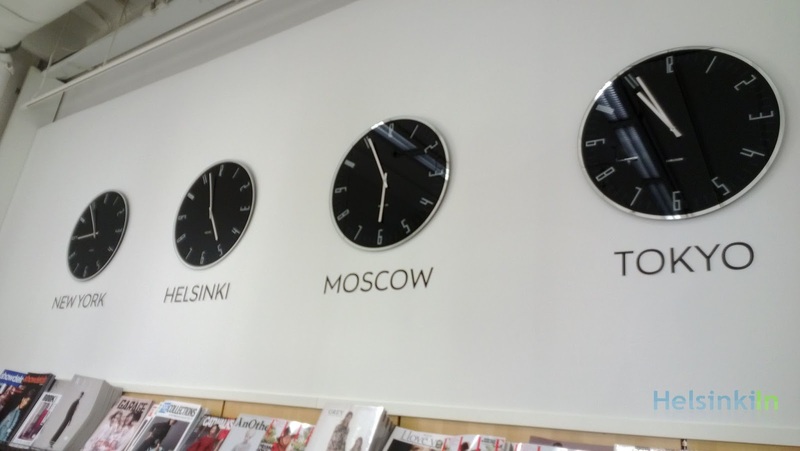 The big clocks on the wall tell you how late it is around the world right now. 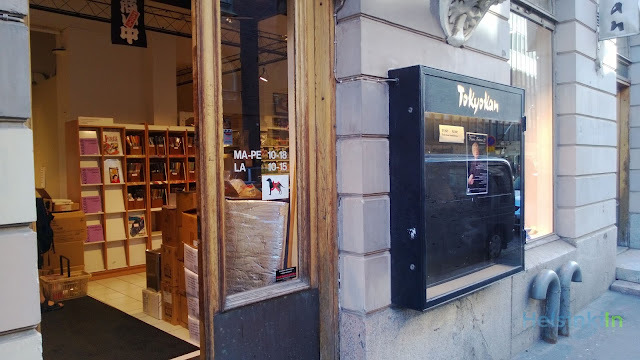 And while you are there you can browse through some magazines and newspapers from exactly those places. Stockmann has magazines from all over the world and definitely also something that interests you. 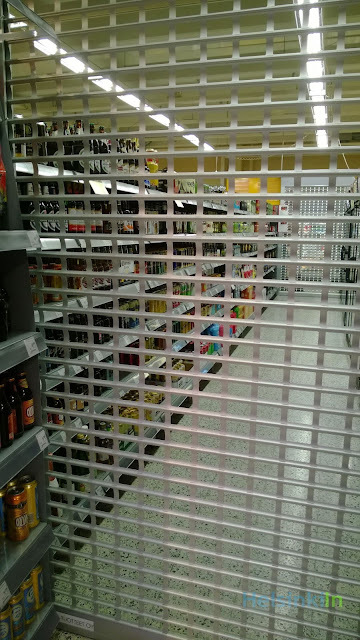 As you might know in Finland any alcohol above 4.7 percent can only be bought from the state owned Alko shops. Anything below like beer and cider is also available at the normal supermarket. But also here you have to face some restrictions. All alcoholic beverages are just allowed to be sold between 9 am and 9 pm. For the rest of the time the shelves are being covered or even locked and even if you find a bottle hidden somewhere between the milk and the sausages it won’t help you since the staff is not allowed to sell it to you anymore. So keep those times in mind when you plan your next party. Don’t run out of booze after nine! The hockey season started again in Finland. The first few games have been played already in the SM Liiga. 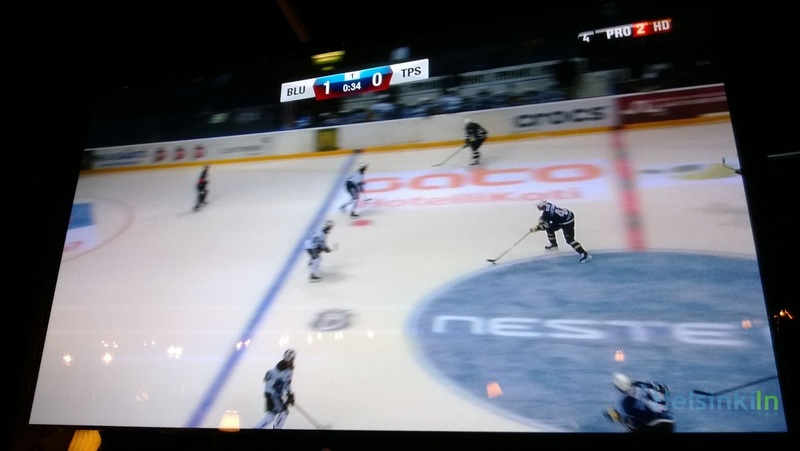 Finns love hockey and in case you haven’t seen any Finnish league games so far it is really time. Unfortunately you can’t watch them on free-TV and the packages are quite expensive. But lots of bars show the games and watching with a crowd is anyway more fun. The best option is of course to watch the matches live in the stadium. And here the capital area offers several options. See HIFK at Jäähalli, Jokerit at Hartwall Areena or the Espoo Blues at Barona Areena. Helsinki is one of the fastest growing metropolitan areas in Europe. It attracts businesses and with them people from all over Finland and the whole world. 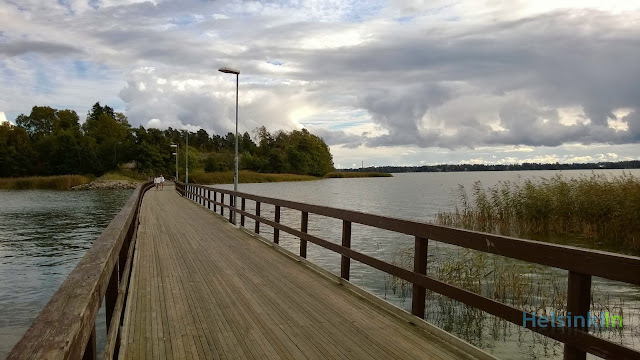 The former cargo harbor Jätkäsaari is rapidly turning into an attractive living and business area. But also in many other parts of the city new buildings rise constantly. 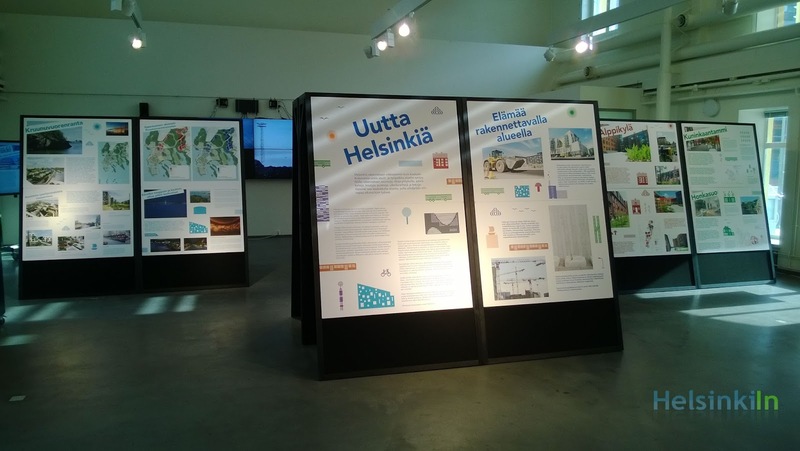 To find out more about Helsinki’s plans for the future, new ideas for the city, about ongoing and already finished projects visit the Helsinki New Horizons exhibition at Laituri next to Kamppi Kauppakeskus. The information in the charts is in Finnish but you can ask for the English information sheet. The staff will also be happy to help you and tell you more. As always the entrance is for free. 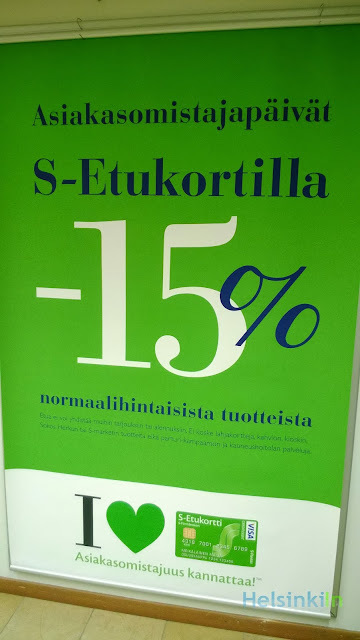 For more information visit laituri.fi and uuttahelsinkia.fi. 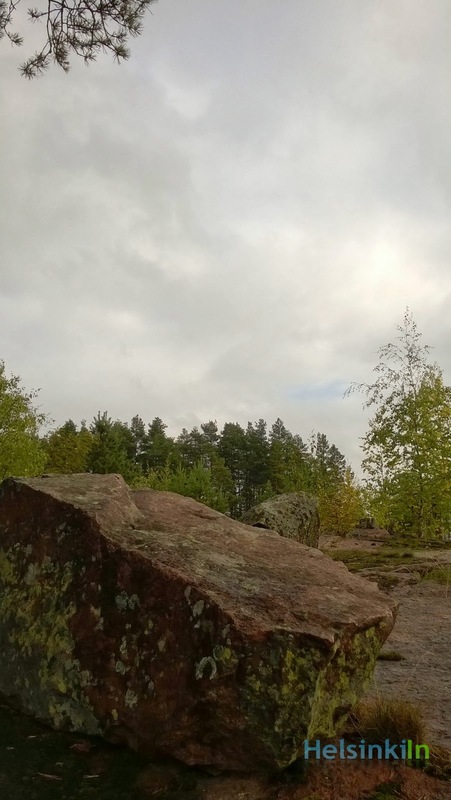 In addition to this month’s Ullanlinnanmäki picture (posted on Friday) I also took a 360° version. And here it is. 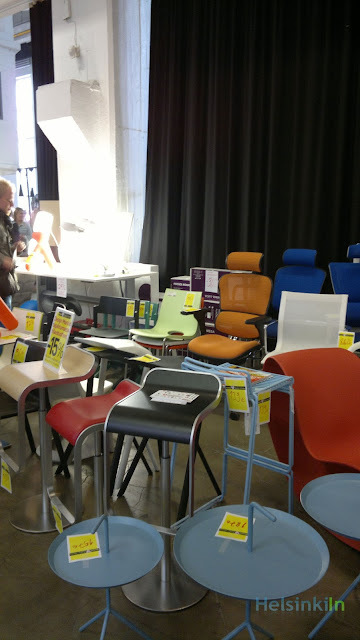 Today and tomorrow you can make real good deals on top Finnish design products. As part of the Helsinki Design Week the big Design Market takes place at Kaapelitehdas this weekend. On Saturday and Sunday both from 11:00 till 17:00 small and big design companies from all over the country sell their products with significant discounts. For all list of all participating companies and further information visit the Helsinki Design Week website. If you are into Finnish design this event is a must. Have a great weekend! It is one of those sunny September mornings that we have had a lot of this year. Temperatures still climb up to 20 degrees almost every day. The biggest design event in Northern Europe starts again today in Helsinki. The Helsinki Design Week awaits its visitors with over 120 events. See e.g. 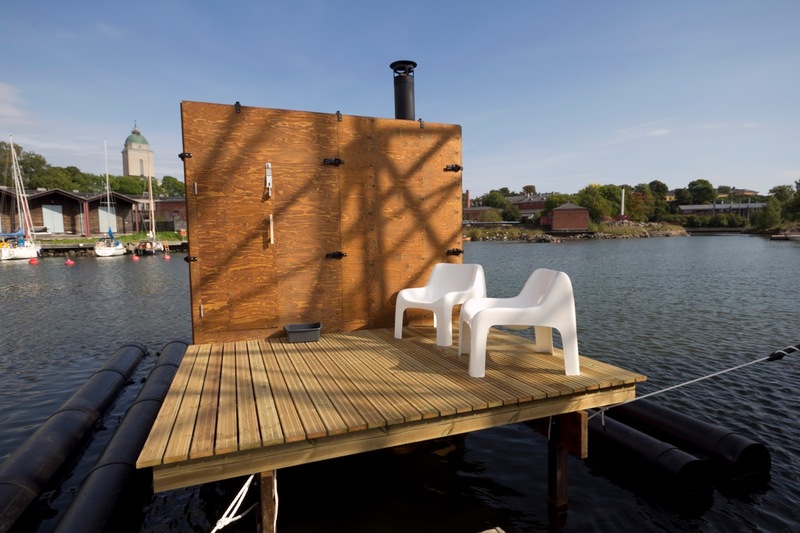 the Finnish design sauna project Hot Cube in Suomenlinna. 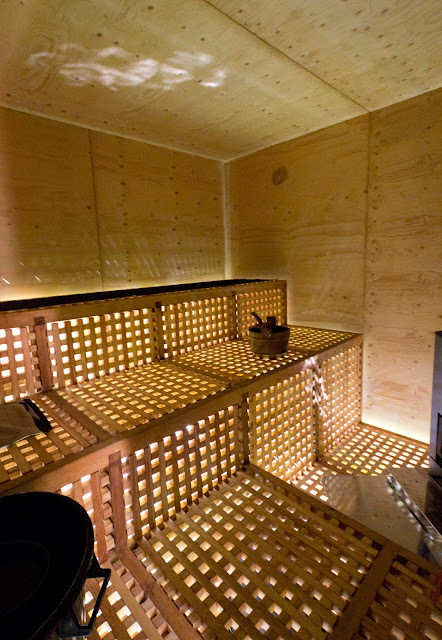 Designer Harri Markkula has worked several years to create this minimalistic windowless sauna that is made almost entirely of wood. Through the lattices in the ground light an air comes into the sauna. And since the Hot Cube is floating on the sea you can see the water beneath you while taking a refreshing sauna. For more information on the Helsinki Design Week check out the official website and browse through their program. 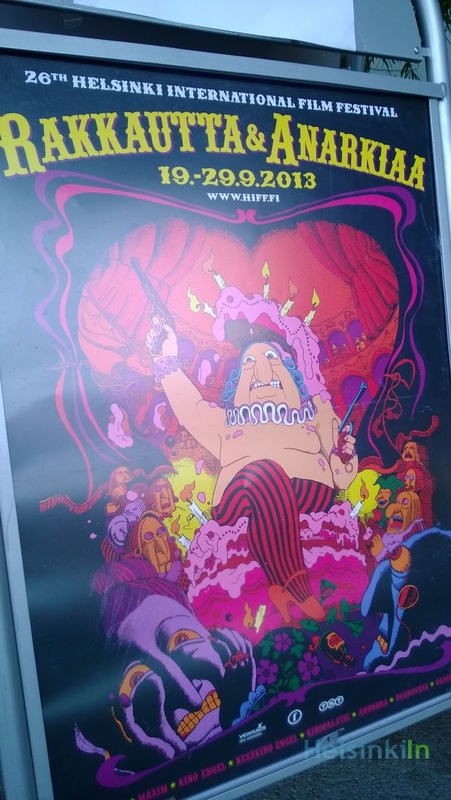 The Helsinki Film Festival Love & Anarchy is coming up in a few days. The Festival passes are already being sold at BioRex. Tomorrow also the single ticket sales will start. All together 339 films from all over the world will be shown between September 19 and 29 in eight theatres around Helsinki. The huge list of movies makes it tough to choose what you want to see. Fortunately the movies are divided into several themes to give you a first idea of what awaits you. Detailed information on each movie can be found from film section of thefestival’s website. The single sales start on Thursday at 10:00. Tickets are available at online, at Bio Rex or directly at the screening theatre. Be fast, some shows are sold out pretty quick. The berry season continues still for another few weeks. Sure you can just buy them in the nearby supermarket or from the next berry stand. But you can also just pick them yourself in the woods. 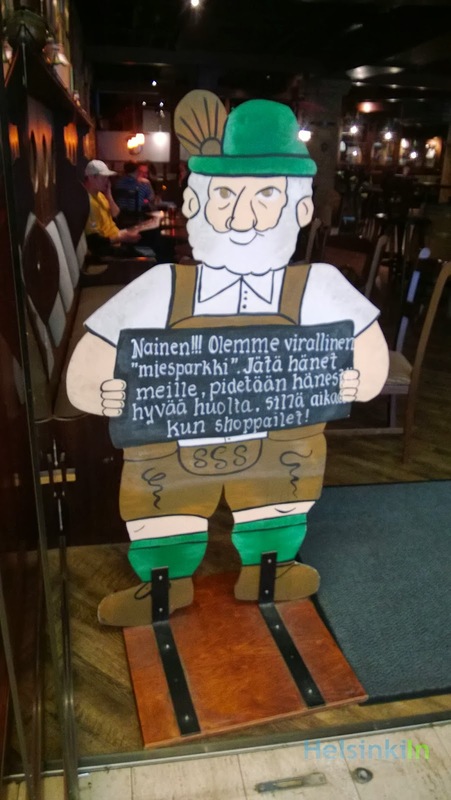 The wonderful thing about Finland is that in its nature the so called Everyman’s Right applies. 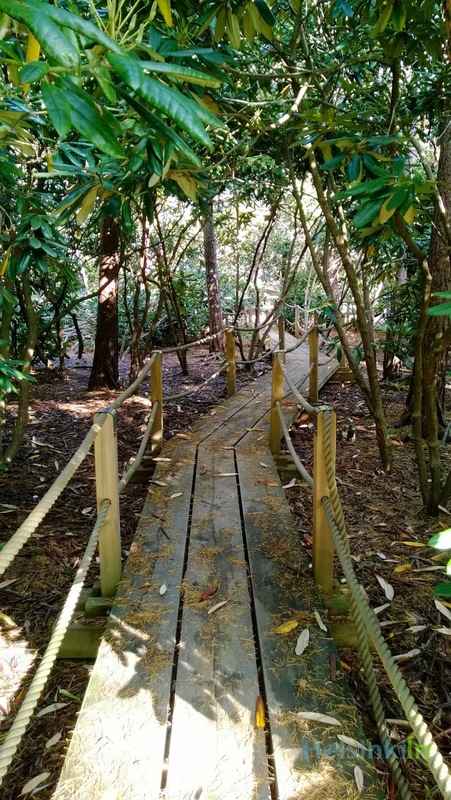 Meaning that everyone can walk, pick berries and mushrooms and even camp wherever they want and even on private land as long as they are far enough from the next house and of course take care to not harm the environment. 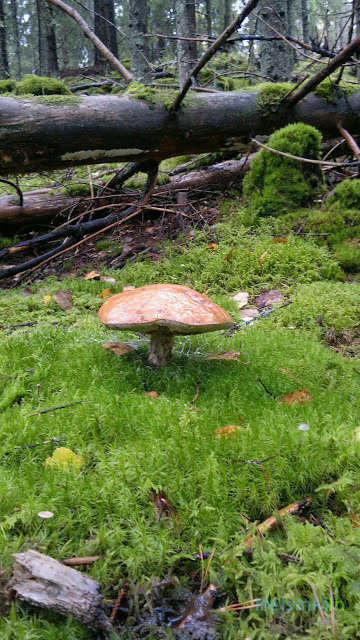 Even in national parks like Nuuksio berry and mushroom picking is allowed. 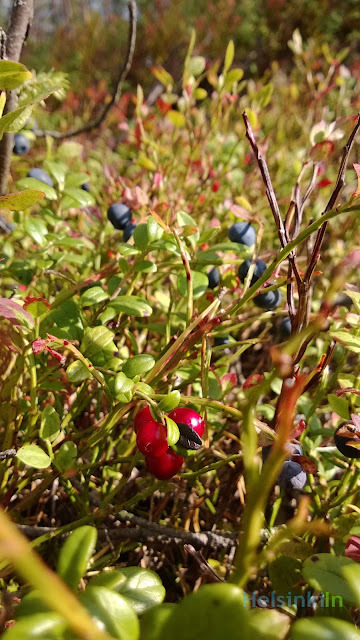 At the moment you can still find lots of lingonberries as well as the last blueberries. All you need is a small bucket or basket. 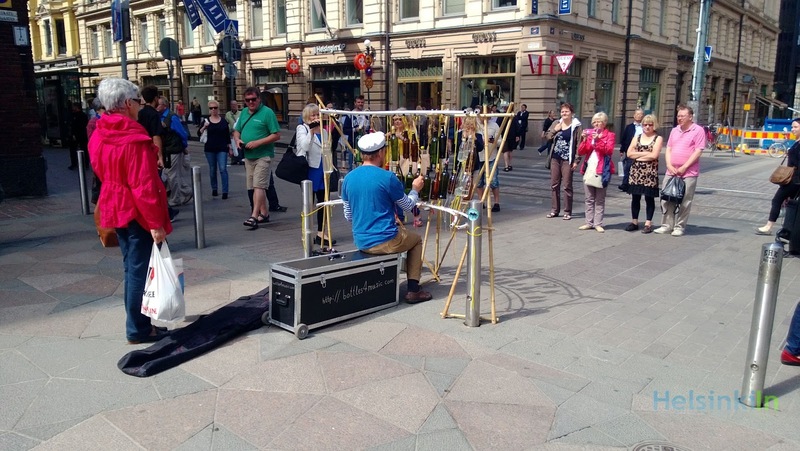 It sounds almost like a xylophone when Fedor Grigorev plays on the streets of Helsinki. But his instrument has a slightly different tone, something mysterious about it. On two dozen bottles the musician with his characteristic sailor’s cap plays Tchaikovsky, Bach and other classics. If he is not in his home town St. Petersburg you can find Fedor somewhere on Aleksanterinkatu where he performs his music already since 1999. It is a joy to watch him play. So don’t miss out on that. And if you like his music he would surely be happy about some applause and a coin or two. More about Fedor Grigorev can be found from his website. Those funny guys tend to move around town. Last time I saw them at Länsisatama. Where did you spot them last time? I bet many of you love sushi. And there are also so many other great Japanese dishes that would be so cool to prepare at home. But then you always face the same problem. For sushi you might still get most of the needed ingredients from the nearby supermarket. But as soon as you want to prepare something a bit more special you quickly face a problem. You just don’t find what you need. Luckily there is Tokyokan. The Japanese shop on Annankatu is open six days a week and has everything you could possibly need for a good Japanese meal. From sushi rice and good soy sauce to delicious edamame beans and much more. And if you don’t feel like going there yourself you can also order all their products online. Despite its name We Got Beef in Punavuori is not a butcher or a steakhouse. 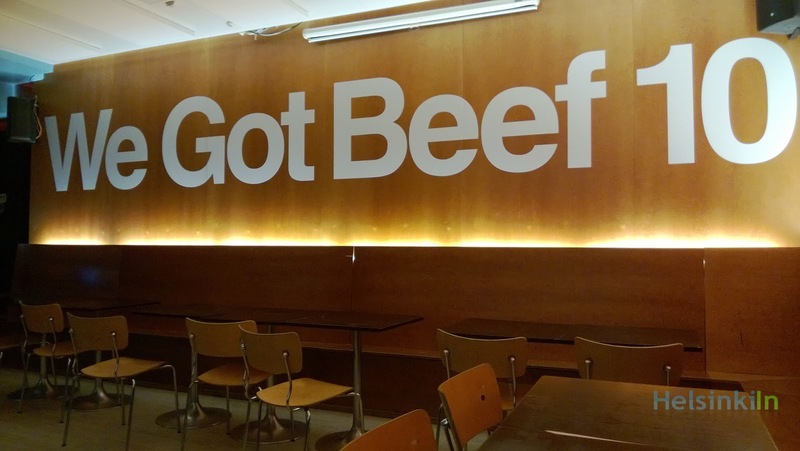 Actually they don’t have much to do with beef at all. But what they have is a lot of party, drinks and fun. We Got Beef is one of the most well know places in Helsinki. Since its opening in 2003 this bar and club has established itself as one of THE places to be in the city. We Got Beef hosts all kinds of gigs from Reggae to Rock, from Hip Hop to Jazz. Show up on the weekend for some DJs and dancing or for just hanging out with your friends for a drink. Helsinki is a modern city. Especially in the center most buildings are from the 60s and 70s. But in many areas like Töölö, Eira and Katajanokka also lots of older buildings can be seen. And even though Finland participated in World War II it seems that there has been almost no damage done. At least non that would still be visible. Well, that is how it appears on first glance. But if you know where to look and look closely you will still find some evidence of fights right in the heart of the city. And so if you walk behind Tuomiokirkko and visit the J.W. 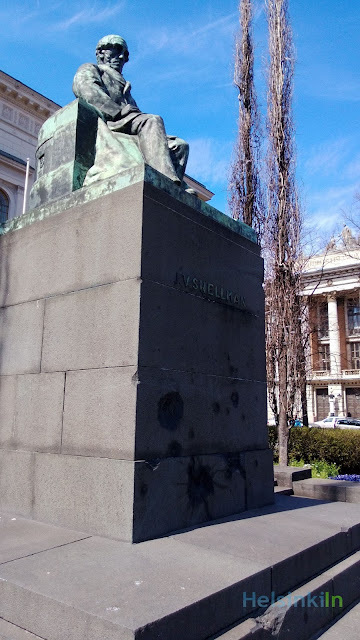 Snellman memorial between the Bank of Finland and the House of Estates you will spot some holes in the concrete. Those are bullet holes. And they have intentionally been left there. 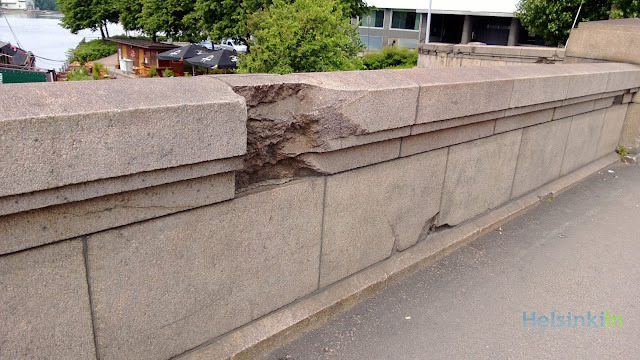 You can find something similar on the Pitkasiltä (Long Bridge) connecting Kruununhaka and Hakaniemi. On the western side of the bridge some similar damage can be found that was caused by shootings. So next time you pass by one of those places maybe take a minute and search for those hidden but steady reminders of the time of war. We should enjoy every day we are healthy. But unfortunately from time to time we just catch something. And how inconvenient is it when feeling bad but all pharmacies are already closed? Well luckily there is one pharmacy in the city center that is open 24 hours a day, 7 days a week and every day of the year. Yliopiston Apteekki on Mannerheimintie is always at your service no matter what time of the day. But even though this is of course great service I wish all of you that you rather stay healthy and won’t even have the need to go there. 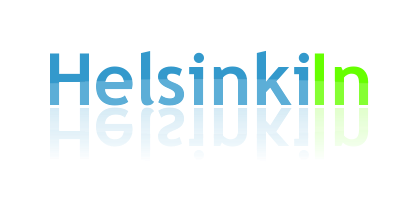 The Visit Helsinki blog just launched a cool new tool. 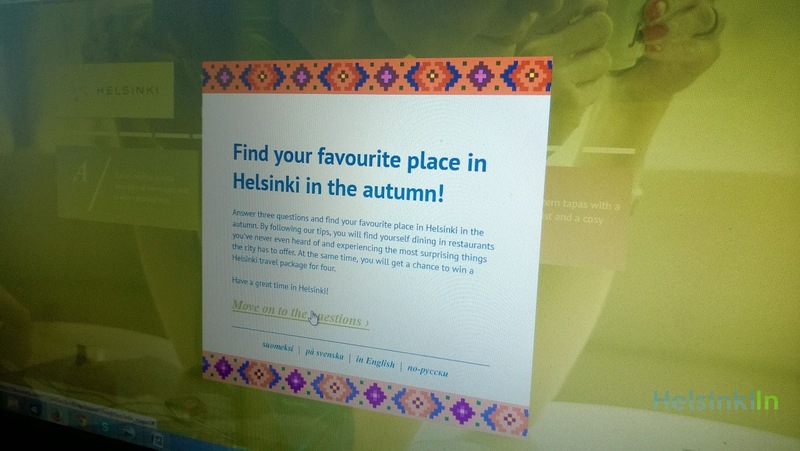 It can help you find your favorite place in Helsinki. And that might be one you have never even heard of before. It’s really easy. Go to www.visithelsinki.fi/favouriteplace and answer three short questions about what you’d like your favorite place to be like. The tool will then give you loads of great suggestions on how to spend an amazing weekend in Helsinki exploring new and interesting places that suit exactly your preferences. If you participate you can even win a Helsinki travel package for four. So don’t wait and find your favorite places in Helsinki right away! The Best Western Premier Katajanokka is quite a special hotel. 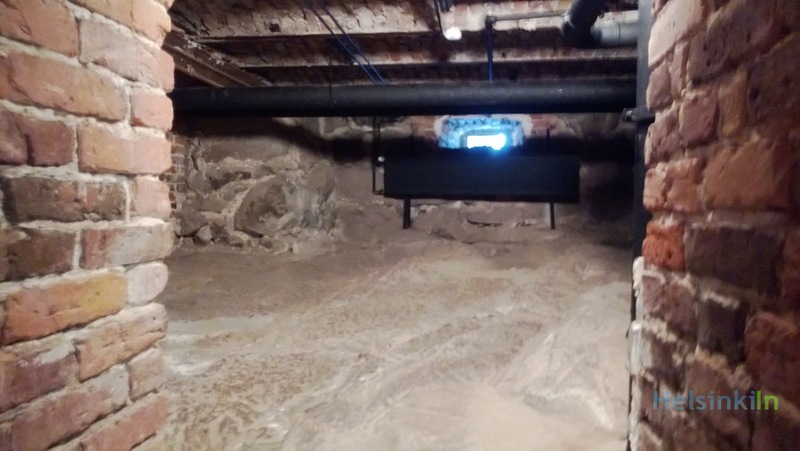 Its building used to be a prison. And instead of tearing the whole thing down the theme was kept for the hotel. Even if you don’t plan on staying here over night you might want to take a look inside. 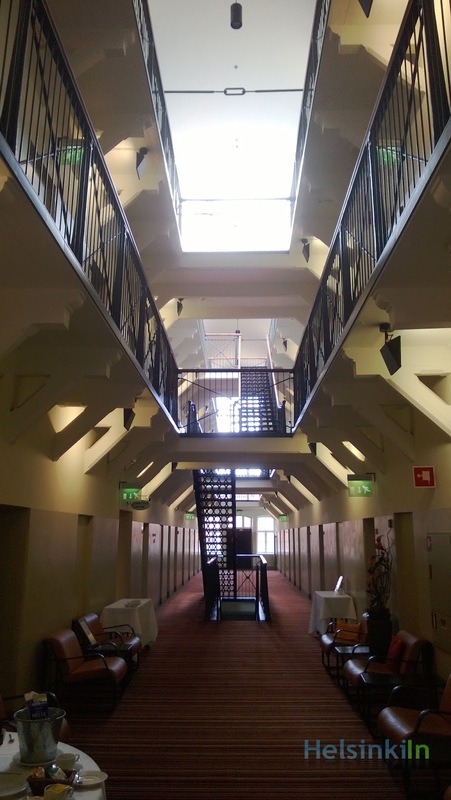 See the big three storey hallways with the former cell and now hotel room doors. If you visit the restaurant in the basement don’t miss out on the group and the solitary cell. Both are open for visitors free of charge. 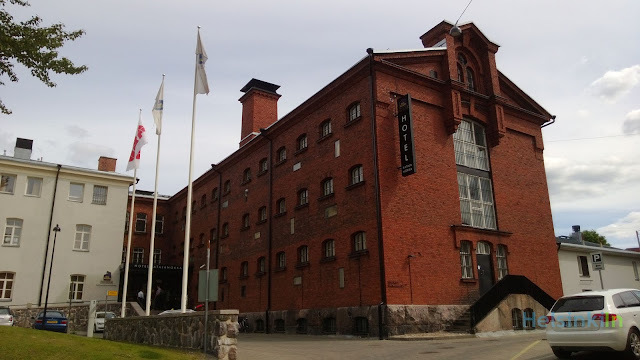 The Best Western Katajanokka is worth a visit and should you be searching for an accommodation in Helsinki you should consider it as well. Not only does this four star hotel have a very convenient location. Most importantly who can claim to every have slept in a real prison cell? K-Supermarket has the Superpäivät at the moment. That means that lots of products are considerably cheaper. Till September 8 you can find pretty good deals. Check out their website to find all special offers for the upcoming days. 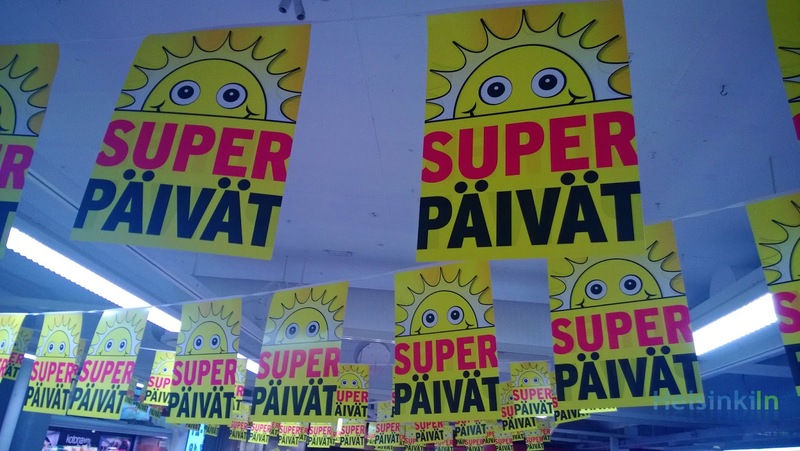 But be aware that Superpäivät just take place in K-Supermarkets, not in K-Citymarkets or K-Extras.